We announced organizations last month to enable multi-user access to our dashboard. In the initial release we had two user groups: owners and members. Today we are introducing two more: admins and members with billing access. In the first version of organizations the owner was the user who created the account and organization, and was the only admin level user. With the introduction of admins there can be multiple users with admin rights. Previously only the owner had admin rights. The only difference between an owner and admin is the owner’s ability to change ownership. The ownership of an organization can be transferred to any user in the organization. The previous owner becomes an admin when the ownership is transferred to the new owner. Members are basic users who have only view access to metrics in the dashboard and no access to organization settings, nothing changes here. 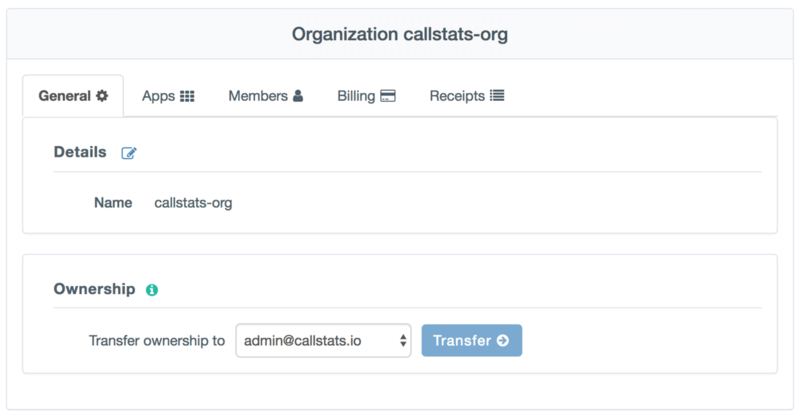 Members with billing access have access to metrics, and can view and edit the settings in billing and receipts tabs in the organization settings. Members with billing access are targeted for financial administrators who need to access receipts and update payment details when needed.